When it comes to unique source unit solutions, the Alpine iLX-F309 from California Car Sounds and Tint in Campbell is unlike any other option in the industry. The iLX-F309, also called the Halo 9, features a massive 9-inch display but fits into a standard DIN-sized radio opening. When combined with an extensive list of smartphone integration technologies and support for all popular audio sources, the Halo 9 has been a major hit! 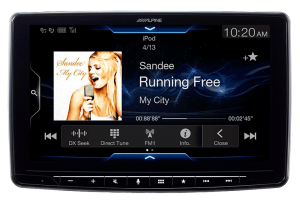 The Alpine iLX-F309 includes a built-in AM/FM receiver HD radio and is SiriusXM-ready. 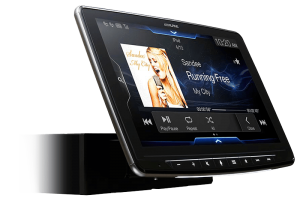 We can add an SXV300 tuner module so you can enjoy genre-specific satellite radio almost anywhere in North America. A USB port on the rear of the radio chassis supports MP3, WMA, AAC and FLAC digital media file playback. You can also connect your iPod or iPhone to listen to music. The unit includes a stereo auxiliary input as well as an HDMI input for video signals. You can connect an iPhone or Android-based smartphone to the HDMI connection, using a suitable adapter or feed video from the optional Alpine DVE-5300 accessory DVD/CD player. The iLX-F309 includes Apple CarPlay and Android Auto smartphone integration to allow you to use the voice recognition hardware built into your smartphone to make phone calls, check voicemail, or send and receive SMS messages. You can pick songs stored on your smartphone by asking for them by song title, artist, album name or even genre. Streaming services like Pandora, Spotify, Tidal, Google Play Music, iHeartRadio and many more are also compatible. If you need navigation directions to your destination, simply ask for directions to an address. Apple Maps or Google Maps will plot an efficient route while taking into account traffic flow information. On Android Auto, you also have the option of using Waze for navigation purposes. As we mentioned, the iLX-F309 features a large (9-inch) display. The display mounts securely to a DIN-sized chassis and sits in front of the radio. Up until now, if you wanted a source unit with CarPlay and Android Auto, you had to be able to fit a Double-DIN radio into the vehicle. The floating display of the Halo 9 eliminates that. We can adjust the angle and depth of the display so the radio looks great on your dash and is easy to see and to use. Upgrade Your Vehicle Technology Today! 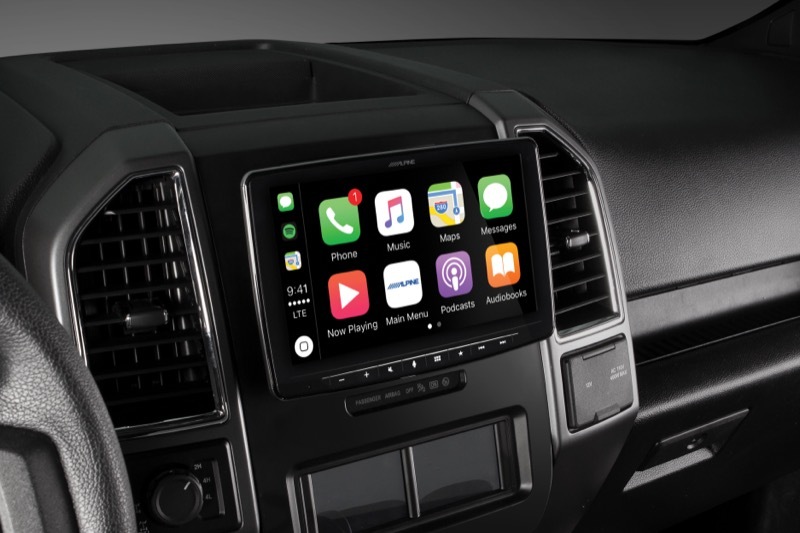 If you are interested in adding CarPlay and Android Auto to your car or truck, drop by California Car Sounds and Tint near San Jose and speak with a member of our sales. Alternatively, give us a call or send an e-mail using our contact page for information on any of our products or services.